I love street food! 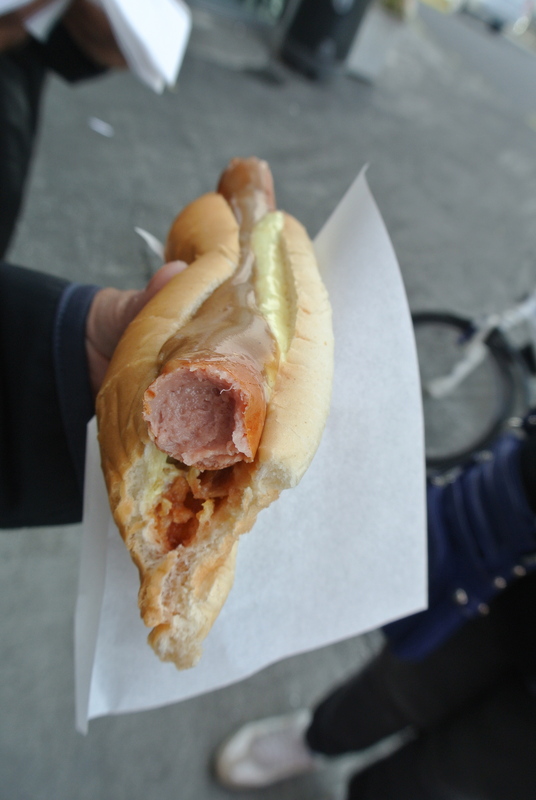 And when I found out there was a hot dog stand in Reykjavik that sold delicious hot dogs, well you know I had to try them. 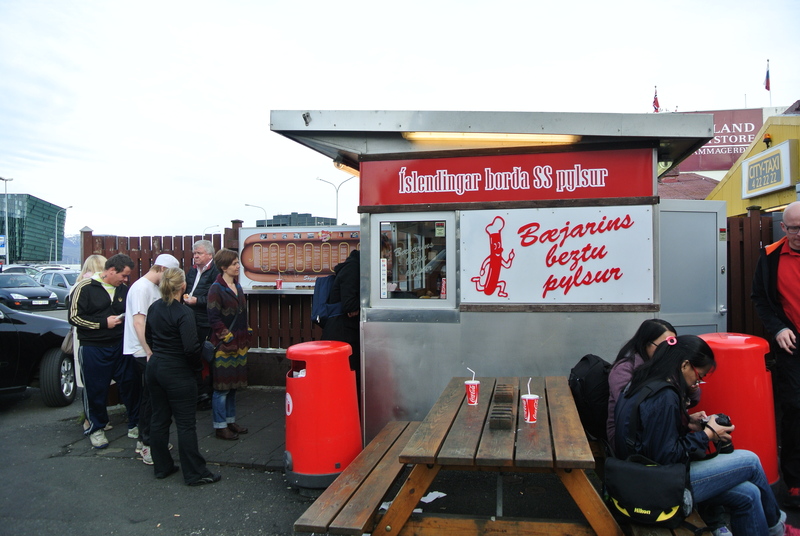 The stand is called Baejarins Beztu Pylsur – translation: Best Hot Dog in Town, literally. 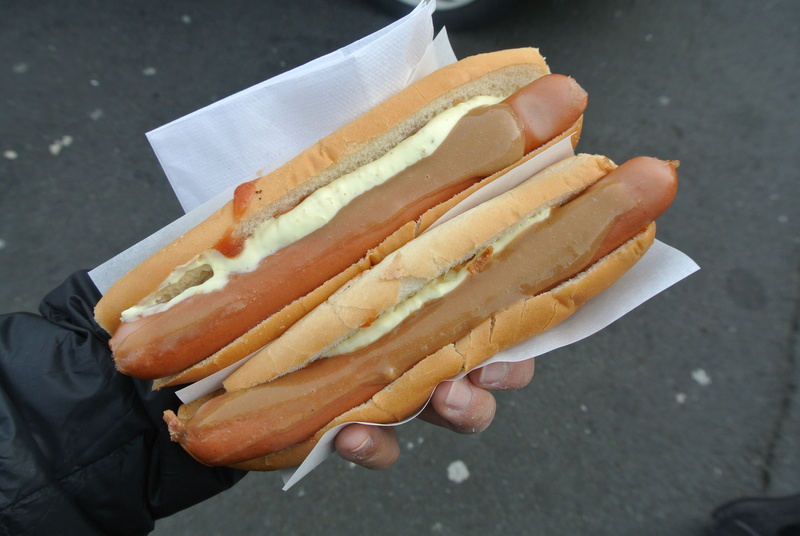 From the photos, the hot dogs don’t look like much, the hot dogs are boiled and there’s only three toppings available (order the version with everything!) – but, I must say these are so tasty! 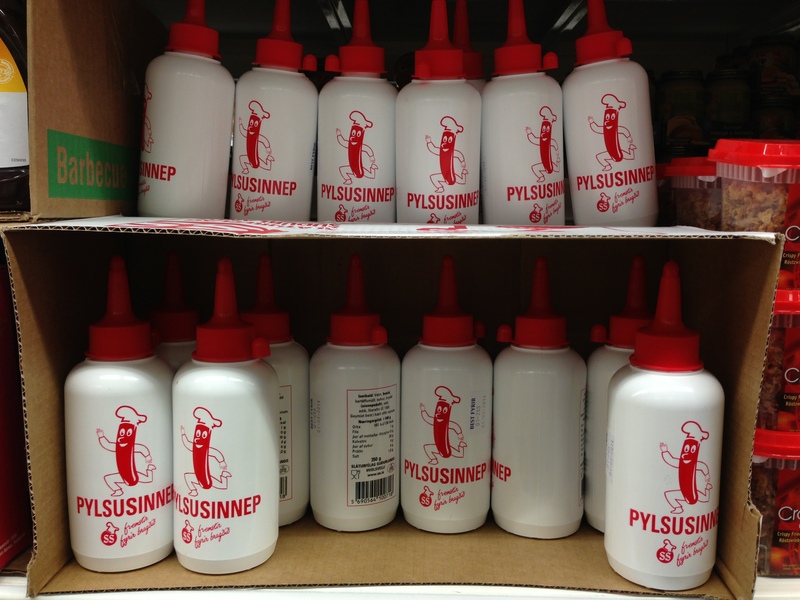 The hot dogs are partly made from lamb and sits on a bed of fried onions and topped with a healthy quirt of mayonnaise and their mustard (pylsusinnep) which has a touch of sweetness. 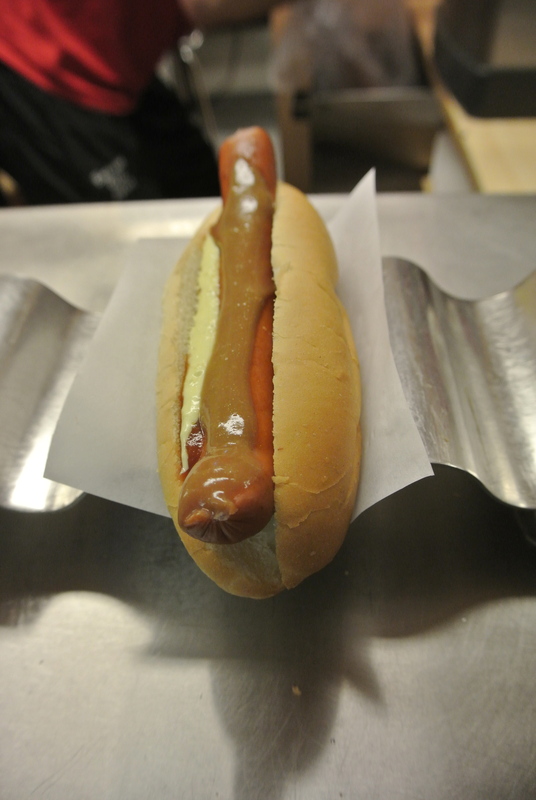 The hot dogs are so popular that they sell the ingredients in grocery stores so that you can make them at home! In my opinion, this may top my list of best street dogs (yes, better than New York City)! 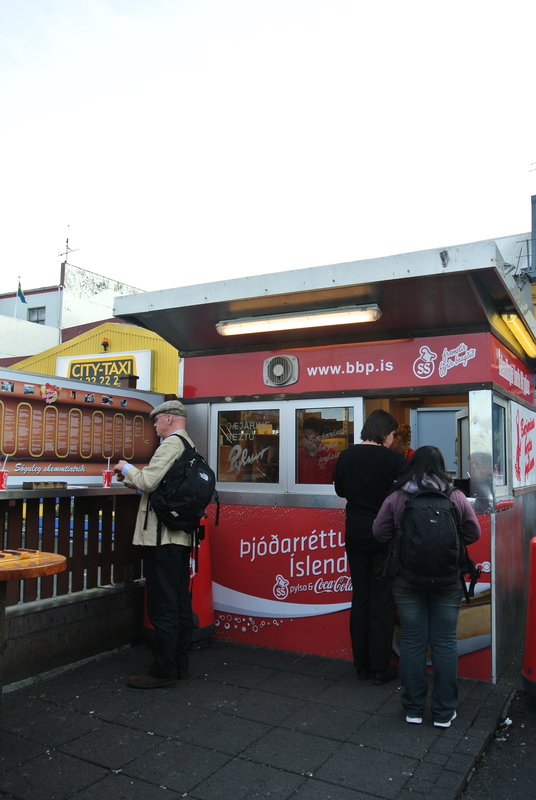 The hot dog stand located across the harbour. My lunch! Two hot dogs with everything! 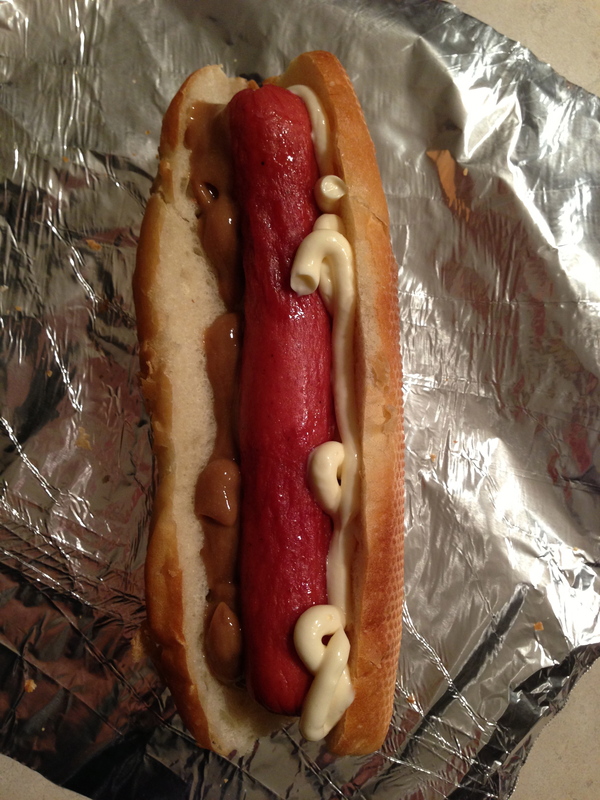 My version of the famous hot dog – all beef with mayo, fried onions and the icelandic mustard. 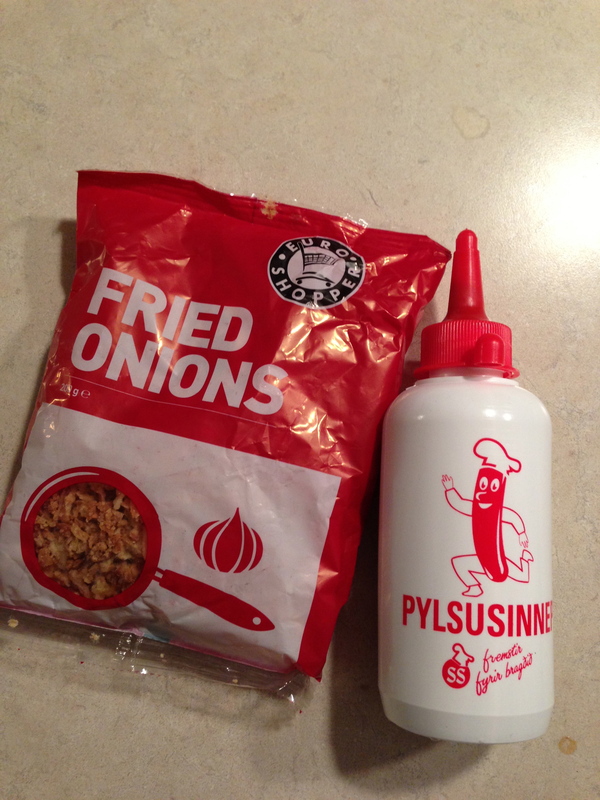 My souvenirs from Iceland – fried onions and mustard!